As part of the 2017 update, the new Hyundai Grand i10 gets three big changes on the outside. In this top of the line Asta trim, it gets a more sculpted front bumper with day time running LED lights. These bumpers, says Hyundai, besides giving the Grand a sportier presence, also helps the car’s aeros creating an air curtain around the front wheels. The end result is better fuel economy. The rear bumper is new too. And though it doesn’t have any functional benefit, it does give the Grand that hint of freshness its rear-end needed so badly. The alloy wheel design is new too. Among the smaller changes is a revised grille, a longer antenna and the keyless entry access button is now only on the driver’s side. So, have these changes given the Grand a new lease on life? Not visually. It still looks a little staid against its newest challenger, the Ignis. The dashboard and centre console continue to have the same layout but what has changed is the equipment list which just got better. You now get a 7-inch touchscreen for the infotainment system which also gets Android Auto and Apple CarPlay and a reverse camera. It also gets Bluetooth, Aux-IN and USB connectivity but misses out on a CD player. The sound quality is fairly good for this price range but the rear camera could’ve definitely been better, especially during the dark when the images appear slightly unclear. The Grand i10 now gets an automatic climate control and trust me, the AC is a chiller even in scorching heat. The steering continues to get audio and phone controls. The interiors are comfortable and airy as ever and the keyless-go function is convenient too. The seats are supportive and cabin room is good but a third passenger at the rear could be a tight fit. Coming to the drivetrains the Grand i10 facelift still is offered with both petrol as well as diesel engines under its hood. The petrol variant gets the 1.2L, four cylinder Kappa Dual VTVT Petrol unit which generates about 83 PS of peak power at 6,000 RPM and 11.6 KGM torque at 4,000 RPM. The engine is paired to a 5 speed manual transmission while there is also an option of 4 speed automatic transmission available as well. According to Hyundai the Alternator Management System has helped improve the fuel efficiency while the air curtains makes contribution towards better aerodynamics and reduced NVH levels which helps to further boost the overall fuel efficiency figures. The updated hatchback surely stores a big surprise under its hood, the diesel variant of the Grand i10 now is powered by a new 1.2L U2 Diesel engine which is slightly bigger and more powerful than the old 1.1 Litre unit. The new diesel powertrain generates about 75 PS of peak power at 4,000 RPM with 19.4 KGM of torque in between 1,750 -2,250 RPM. The unit gets only 5 speed manual transmission option. The Hyundai Grand i10 has a sorted suspension and I personally love the ride quality it offers. It feels planted at all times and the suspension soaks bumps with ease. Even on really bad roads, the car remains stable and doesn’t cause any sort of discomfort. What really gets to me is the steering which is positively light at city speeds but feels lifeless as the speeds increase. It doesn’t inspire much confidence while driving fast on the highway or while cornering. Feedback offered is also very less and this is one of the factors that makes the car far from fun-to-drive. Talking about the safety features, the facelift Grand i10 gets advanced safety features like Rear Parking Assist System with Dual Airbags, ABS, Reverse Parking Sensors and newly introduced Rear Parking Camera which displays all the output on the newly added 7.0 Inch touchscreen monitor. The only aspect we haven’t touched upon yet is the new Grand i10’s dynamic ability. For starters, it feels stable and safe at three digit speeds on the highway, so that’s well covered. It’s got decent brakes too. But, if you love driving, the Grand i10 might not appeal to you. The steering lacks feel, the chassis seems mute and though it feels up to the task of taking on quick direction changes, it really isn’t a car that excites. 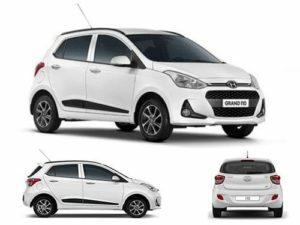 But, if you are looking for a practical, comfortable, usable and easy to live with diesel-powered hatchback, the new Grand i10 fits the bill. It’s well equipped too in this Asta trim. And with the current generation Swift on its swan song, not to mention the Ignis’ polarising appeal, the Grand really has it good with at least another three years left in it and a design that’s certainly more palatable. What Are The Facts Of Having Cloud Based Phone System ? What Are The Risks Of Gynecomastia Surgery?